Creating Riparian Landscapes That Are Easy on the Eye and Great for the Environment! 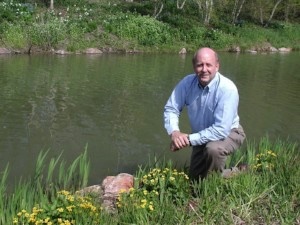 Speaker: Bob Kirschner, Curator of Aquatic Plant & Urban Lake Studies and Director of Restoration Ecology, Chicago Botanic Garden. The program will begin at 10:00 AM at the Barrington Area Library, 505 N. Northwest Hwy, Barrington. This program is sponsored by the Flint Creek/Spring Creek Watersheds Partnership. To reserve a space at this program, go here then scroll down to the RSVP box below the map and enter the number of spaces you want to reserve.